The Washington Post said it received warnings from U.S. officials that revealing Halper’s identity posed a security risk. Meanwhile, reports vary on when the FBI tapped Halper to snoop on the Trump campaign. The New York Times reported in December that during “a night of heavy drinking at an upscale London bar in May 2016,” Trump campaign adviser George Papadopoulos had disclosed to an Australian diplomat the Russians had dirt on the Clinton campaign. The Australians then tipped off the FBI, prompting the agency to launch “Crossfire Hurricane” on July 31, 2016. (CLICK HERE)As reported earlier, the Obama White House placed a spy inside the Trump Campaign several months before the election, So far the PLANT has not been named, but known to the very individuals whose intent was to destroy Donald Trump and elect “Lock Her Up” Clinton. This type of clandestine behavior is reminiscent of Communist countries. A Kafka novel would be the place for such a plot which is described as Kafkaesque. 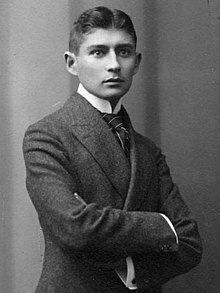 Franz Kafka was a writer famous for stories of bewildered individuals betrayed by an irrational and pointless society. His work, which fuses elements of realism and the fantastic, typically features isolated protagonists faced by bizarre or surrealistic predicaments and incomprehensible social-bureaucratic powers, and has been interpreted as exploring themes of alienation, existential anxiety, guilt, and absurdity. The term Kafkaesque has entered the English language to describe situations like those in his writing. A New York Times report stated that the investigation into the Trump campaign’s ties to Russia began in the summer of 2016 and was code-named Crossfire Hurricane.